The SNMMI Clinical Trials Network provides tools and resources to promote faster, more cost-effective drug development and increase the availability and performance of molecular imaging radiopharmaceuticals for use in the clinic. Increased standardization in trials leads to better data that then results in expanded utilization of radiopharmaceuticals. The Clinical Trials Network (CTN) was formed in 2008 by SNMMI to help facilitate the effective use of molecular imaging radiopharmaceuticals in clinical trials. Benefits to the drug development industry include access to a database of qualified imaging sites and radiopharmaceutical manufacturers, a robust scanner validation program, access to standardized imaging protocols and clinical research education and training for site personnel. Our Mission is to facilitate the effective use of MI in clinical trials through standardization, coordination, and education for drug development and regulatory approval. A successful scanner validation will ensure that your study patients as well as your clinical patients are being scanned on a quantitatively and quantitatively accurate PET/CT. Click here for more information about our scanner validation program. We also maintain a comprehensive database that stores and manages information on imaging sites, production sites and those sites that have both imaging and production capabilities. To date, we have total of 435 sites registered in the CTN database. To access or add your site to the CTN database, click here. Meetings and webinars provide the ideal venue to promote and support standardization in imaging, especially when part of a research trial. The Clinical Trials Network sponsors two major sessions per year during the SNMMI Mid-Winter and Annual Meetings. The CTN Site Orientation and Education Committee and other consultants plan the programs keeping in mind the audience and the ever-evolving landscape of nuclear medicine and molecular imaging. Clinical research basics remain fairly constant but are often not part of the education and training that many molecular imaging personnel receive. To that end, the CTN has developed an outstanding curriculum covering a wide-range of research topics. The CTN serves a unique and critical function in SNMMI. By working closely with sponsors, associations and agencies, CTN members help to advance key initiatives for standardization in PET/CT clinical imaging. The purpose of the internship program is to identify and train future leaders of SNMMI in the structure, governance and operations of the organization; to prepare individuals for progressive levels of responsibility; and to ensure effective leadership that advances the mission and goals of the organization. Interns serve a two-year term that begins and ends at the SNMMI Annual Meetings. A mentor is appointed by the CTN Leadership for the intern, to work with the intern and supervise special projects and activities. During the two years, the intern is expected to attend the CTN Leadership and Committee meetings at the SNMMI Mid-Winter and Annual Meetings, and participate in conference calls. If you are interested is applying for the CTN intern position, please email us at ctnadmin@snmmi.org. Lieutenant Commander, Colin Young, LCDR, MC, USN went to the United States Naval Academy in Annapolis, MD where he earned a Bachelor of Science in Systems Engineering. He completed military SCUBA training in Panama City, FL and nuclear propulsion training in Charleston, SC and Ballston Spa, NY and went to submarine school in Groton, CT before arriving at the USS Oklahoma City (SSN723) stationed in Norfolk, VA in February 2002. While onboard Oklahoma City, he held the positions of electrical assistant, intelligence officer, and assistant weapons officer and made two deployments, one through the Mediterranean to the Persian Gulf, and the other under the polar ice cap to the Western Pacific and back through the Panama Canal. He started medical school at the Uniformed Services University of the Health Sciences, graduating in 2010. After completing Internal Medicine intern year at Walter Reed in 2011, he was a Navy Undersea Medical Officer getting to care for submariners and divers and conducted research at Naval Submarine Medical Research Laboratory in Groton, CT. He returned to Walter Reed for Radiology residency training in 2014 and anticipate graduating in 2018, at which point he will start a Nuclear Medicine/Radiology fellowship at Yale New Haven Medical Center. Dr. Courtney Lawhn Heath, MD, graduated from the University of Chicago Pritzker School of Medicine and is pursuing a combined diagnostic radiology residency and nuclear medicine fellowship at the University of California San Francisco. Dr. Lawhn Heath’s professional interests include cross-specialty collaboration, radiology education, hybrid imaging techniques, investigational radiotracers such as 68Ga-PSMA, and bringing new PET tracers and radiopharmaceuticals into the oncology clinic. Prior to pursuing medical training, she was a professional harpist who performed with organizations including the Chicago Symphony Orchestra. Dr. Robert Flavell, MD, PhD is the CTN intern for 2015 - 2017. He completed his residency in radiology at the University of California, San Francisco where he is currently a fellow in nuclear medicine. Dr. Flavell’s research interests include radiochemistry, PET radiopharmaceutical development, and hyperpolarized 13C MRI. He plans to spend his time with the CTN assisting the Gallium Users Group in creating a clinical trial protocol and accompanying documents for the development of 68Ga-PSMA, among other projects. We welcome Dr. Flavell to the CTN! Lance Burrell, MS, CNMT, PET, RT(CT) served as the CTN intern from June 2013 to June 2015 while employed as a PET technologist and research assistant in the Department of Radiology at the University of Utah’s Huntsman Cancer Institute (HCI). He continues his journey in the “pursuit of professional fulfillment” where clinical research imaging is a major aspect of his day-to-day responsibilities at HCI. During his internship, Mr. Burrell helped refine methods and practices in improving quality and consistency in research imaging and assisted the Scanner Validation Committee by testing phantoms and reviewing phantom images. He contributed in the development of courses for technologists and presented at SNMMI meetings. We are pleased to have Mr. Burrell continue his involvement in the CTN as an active member of the Education and Scanner Validation Committees. The Clinical Trials Network would like to hear from you. We are an organization of molecular imaging experts, from physicians and physicists to scientists and technologists. Many are pioneers in the field of nuclear medicine and molecular imaging. If you need assistance in incorporating molecular imaging into a therapeutic trial or want to study a new radiopharmaceutical, our team of experts can assist you with all phases of a clinical trial. From scanner validation, trial design assistance, and study personnel training, the CTN has programs to ensure that you are utilizing molecular imaging effectively and efficiently. To obtain more information about our specific programs or events, please contact us at ctnadmin@snmmi.org. 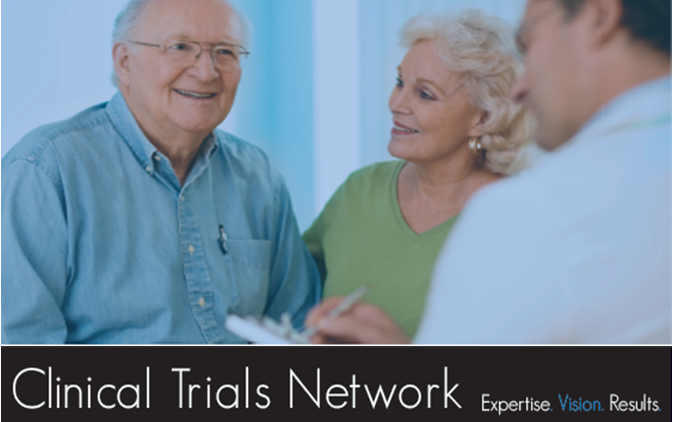 The Clinical Trials Network strives to provide the community with as much information as possible on its projects, programs and overall goals within the context of this website. Often, some questions or topics require additional clarification, which we address through this Frequently Asked Questions page. We realize, however, that there still may be some areas in which the public would like additional information. If your question was not answered on our website or the main SNMMI website, please feel free to submit the question using the link/form below. CTN works collaboratively with SNMMI Councils and Chapters as well as with external groups to move the entire field forward. In working with other imaging associations such as RSNA, government agencies such as the FDA and industry leaders, the CTN envisions having a key role in advancing the use of radiopharmaceuticals and optimizing the use of molecular imaging in clinical trials and for dissemination into clinical practice. Ga-68-labeled somatostatin analogs are important imaging agents to detect and manage neuroendocrine tumors (NETs). TheGa-68 Users Group was formed to advance the use of these imaging agents in the US. Members of the Users Group developed harmonized release criteria, an imaging manual, generic data collection forms and a draft informed consent form to aid the community in establishing investigator-sponsored trials. SNMMI received orphan drug designation for Ga-68 DOTATOC. Click here to watch lectures from the 3rd Theranostics World Congress on Ga-68 and PRRT. CTN co-sponsored a workshop with NCI on Monday, May 2, 2016 titled Immune Modulation Therapy and Imaging: What can we do in clinical trials now? As the workshop chairman Tony Shields, MD, PhD said in his welcome, "immunotherapy clearly is the hottest topic in medical oncology today." But because of the time it takes to see a response in some patients, we have a problem evaluating response to therapy with current imaging strategies. The assembled group of immunologists, imagers, and industry representatives discussed imaging technologies beyond iRECIST (immunotherapy) that could be integrated into trials to measure response. Additionally, the group was charged with identifying markers that will predict response of patients. The goal of the conference was to identify 'shovel-ready' projects that could be added to clinical trials, either NCI- or industry-sponsored, by the end of 2016. 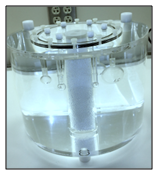 This 5-year project, begun in September of 2012, is working to identify and implement harmonized PET reconstruction parameters for all PET/CT scanners for use in clinical trial scenarios where quantitative accuracy is critical. The CTN plays a key administrative role and provides imaging infrastructure to the study group. The RadioChemical & Pharmaceutical Wiki (RCPWiki) is an opportunity to share expertise within the field and to develop and optimize protocols, in the form of a continuously updated, crowdsourced repository of Nuclear Medicine knowledge. Click here to find more about RCPWiki. NIH has developed a new one-page guide, Why Do Researchers Do Different Kinds of Clinical Studies? Click here to read. To learn more about the activities of the CTN, explore below. JSNM Annual Meeting, November 2014: "Clinical Trials Network: Facilitating Multicenter Trials"
Immune Modulation Therapy and Imaging: What can we do now in clinical trials?